Egypt’s main stock index, EGX 30 rose 0.13 percent in a week, closing on Thursday at 13,433 points as traders come back from their four-day Eid al-Adha feast break in a good mood. The country’s stock market closed for four days and resumed trading on Tuesday after the Muslim Eid al-Adha feast holiday, which started on August 31st. The country’s stock market posted slim gains worth 379 million Egyptian pounds ($21.5 million), finishing at 705.391 billion pounds during the closing session of Thursday, from 705.012 billion pounds a week earlier. 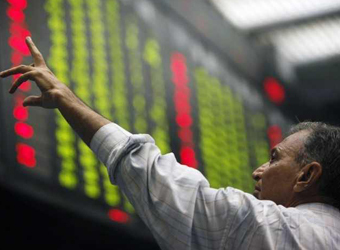 In addition, the mid- and small-cap index, the EGX 70 dropped 0.48 percent in a week closing at 689 points during Thursday’s session; while price index, EGX 100 dipped 0.02 percent closing at 1,565 points. During the week, the trading volume hit around 1.09 billion securities, compared 907 million a week earlier. For the traded value, it reached around 2.6 billion pounds against 3.5 billion pounds a week earlier.